Not to mention all the effects pedals his company has designed or reissued. Most of my MXR gizmos are Dunlop recreations of '70s classics. His tortex 2.0mm literally changed my attack on the Br and essential salvaged that dread that eventually become the only dread I currently own. Dunlop copper slide for me. A man of taste! Best acoustic picks I have tried. My favs are the Dunlop Ultex Jazz 3 xl's and the .73 Ultex for acoustics or rhythm on electric. 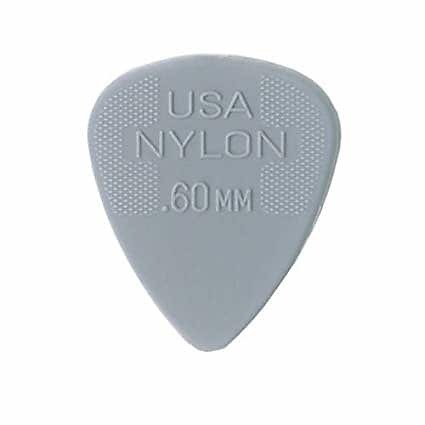 I don't know what polymers they use in those Ultex picks but they are very hard to wear down! The color though, it blends well with floors and carpets alike, if you drop them they are harder to find than Waldo. Always hunting for another Lefty S-70! R.I.P Jim Dunlop. The classic Dunlop Cry Baby is hard to beat. I used the same Tortex 1mm pick for 10 years without losing it! Now I use Tortex .5mm exclusively. Love 'em. Dude had a huge impact.